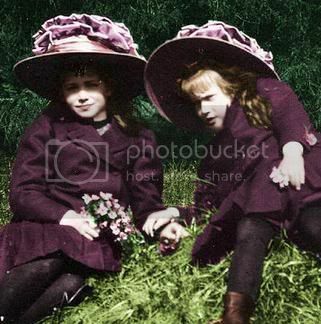 Does anybody know where this two dresses of Sissi can be ? The second one, worn during the Hungarian coronation, was gifted to the diocese of Veszprém, where - following the traditions - different vestment pieces were made of it. Two of them is still to be found in the Cathedral of Veszprém. 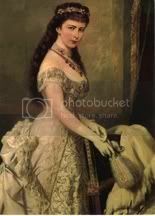 The gala dress shown on Winterhalter's portrait did not survive. Thank you very much Dboro for this infomation. But can you tell me the exact name of this Cathédral ? Here is a photograph of the so-called Polterabendkleid which you can see at the Sisi Museum - but it's not the original one. Is there a book on Sisi dresses ? I agree Kim! So lovely and feminine, would look great on you and with that train, would be perfect for work!! None of those beautiful diamond stars in your hair either Kim!! Remember "Bling harbours bugs"
This is a gorgeous dress. Thank you for sharing this picture. The interesting point about that dress is there is a verse in Arabic embroided onto the dress. I forgot what it exactly said but something along the lines of leaving her youth and freedom. Sounds like touches of Duke Max who liked exotic refferences. In the early 1980s I went to an exhibition at the Metropolitan Museum of Art in NYC that reatured the clothing of the late 1890s and early 1900s. You would not believe how small Sisi's waist was. 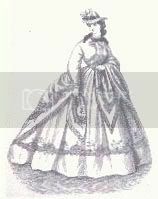 The dress was a "mourning" dress, similar to the one in the photo above. I don't rmember much about the rest of the exhibition, just how tiny her waist must have been.